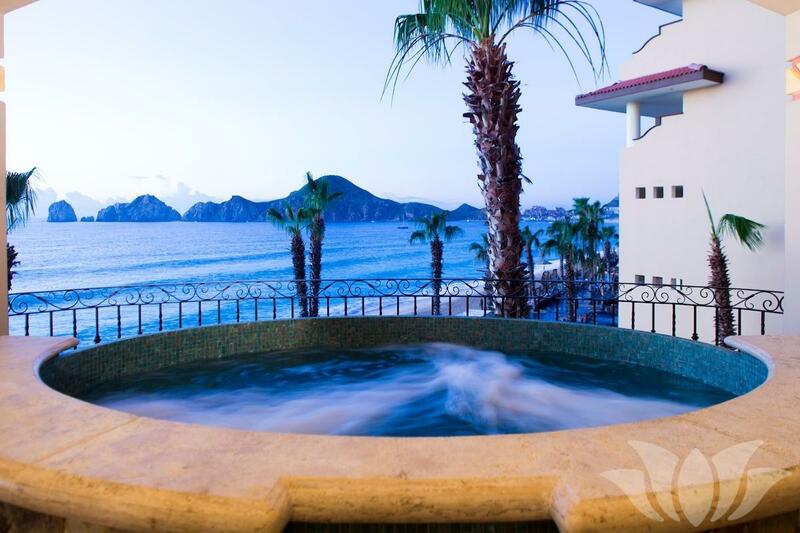 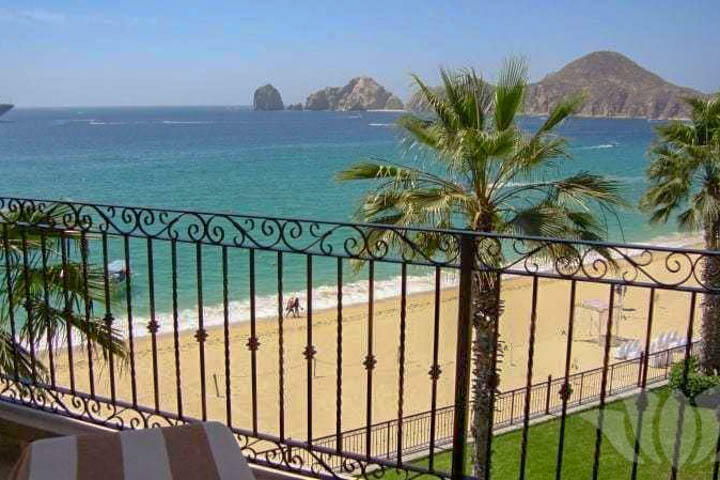 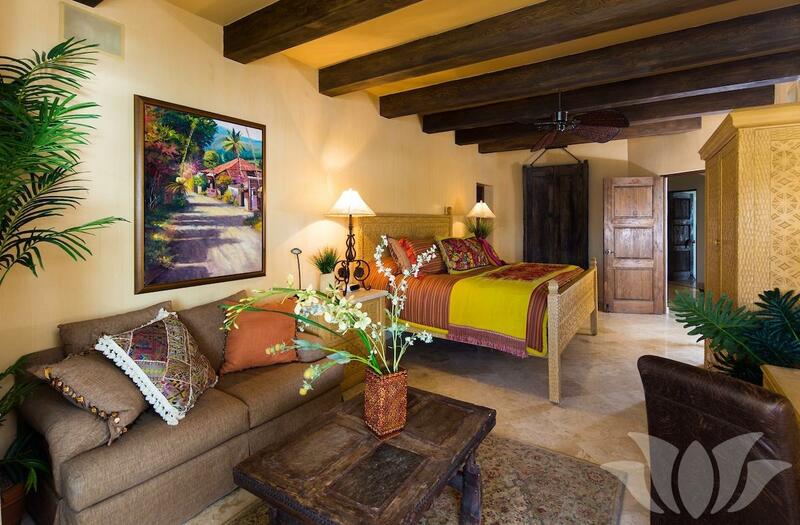 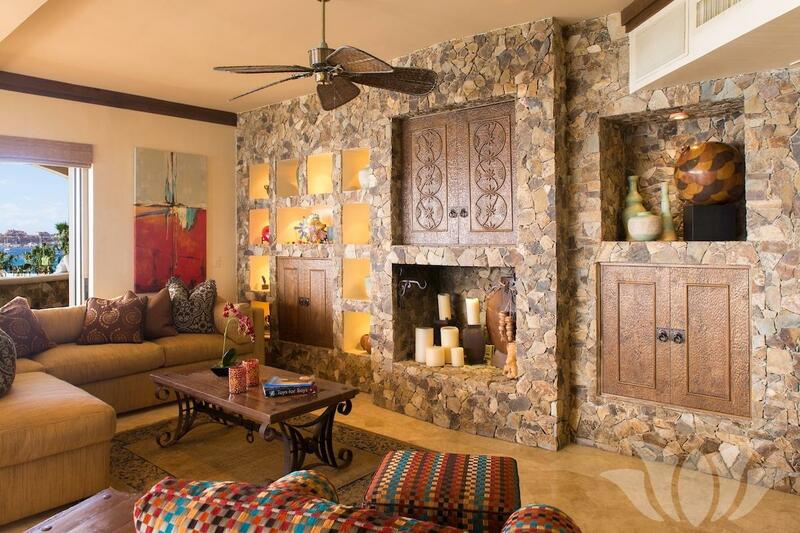 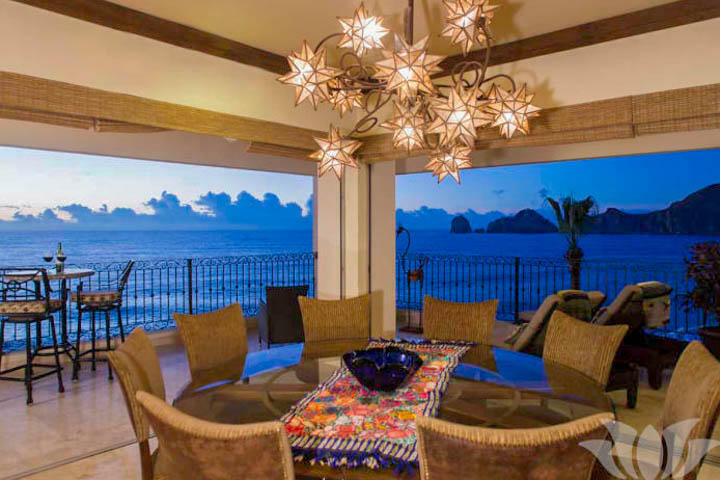 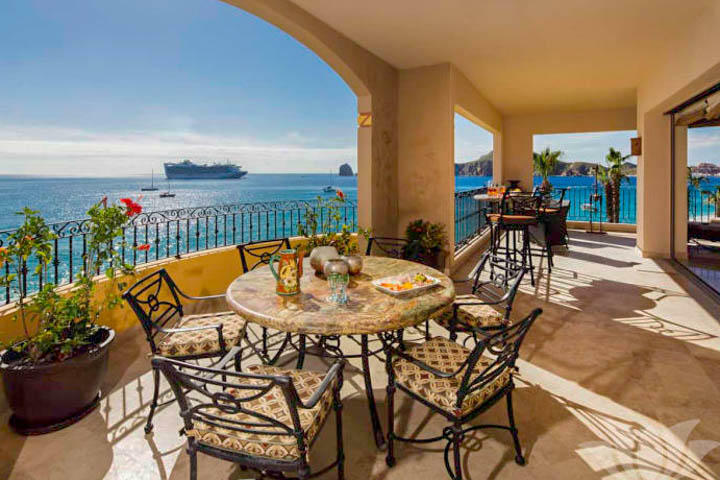 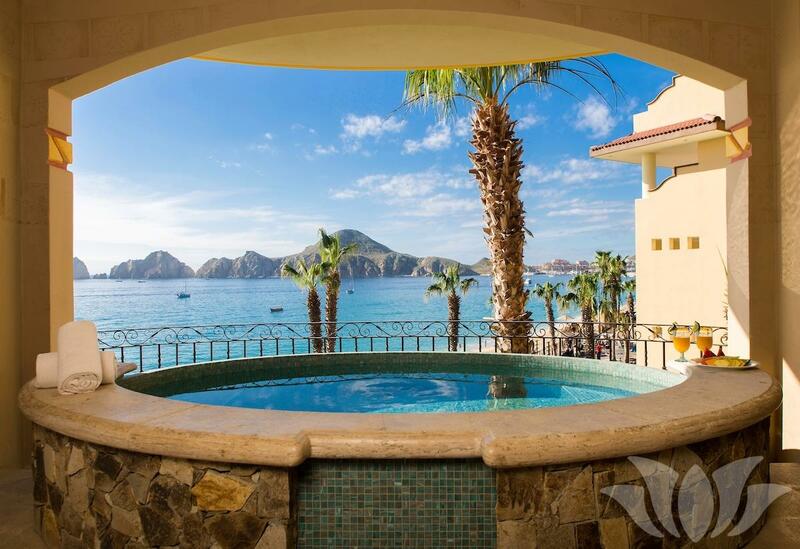 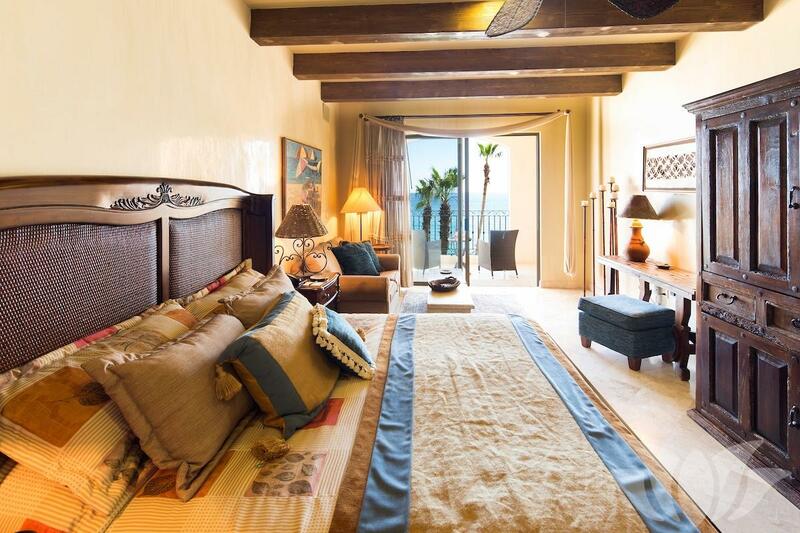 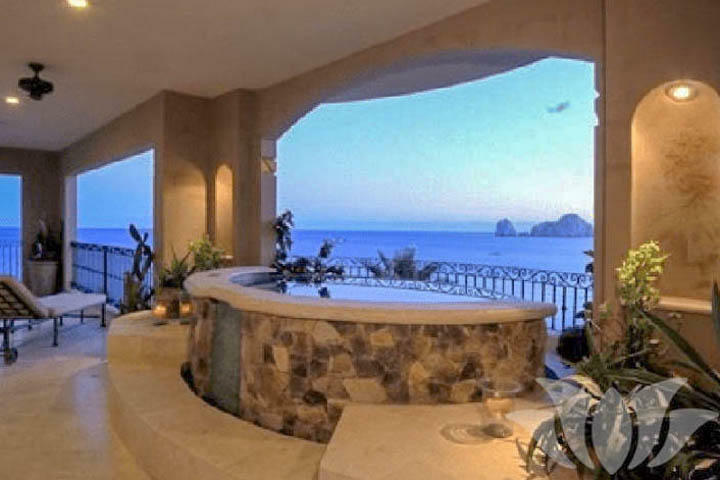 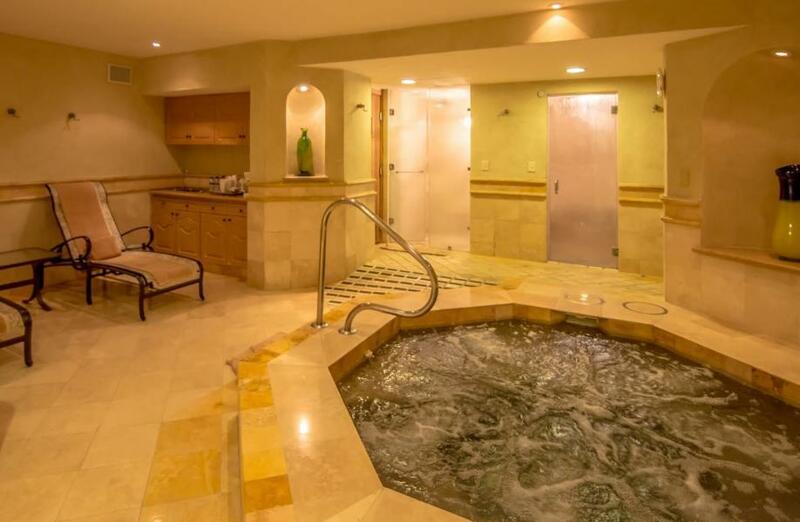 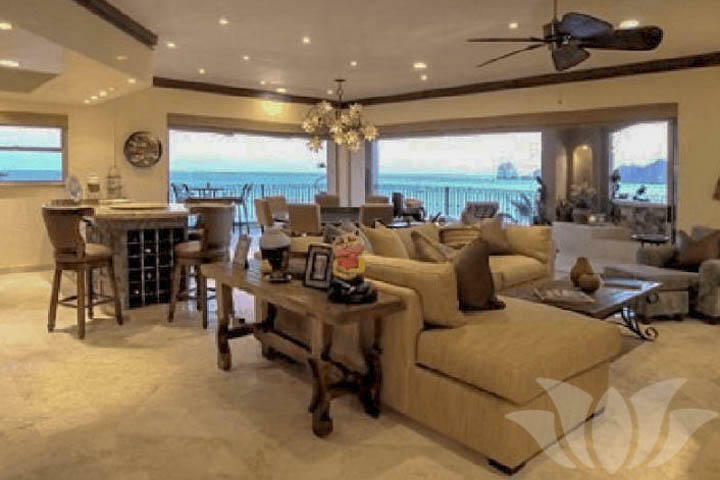 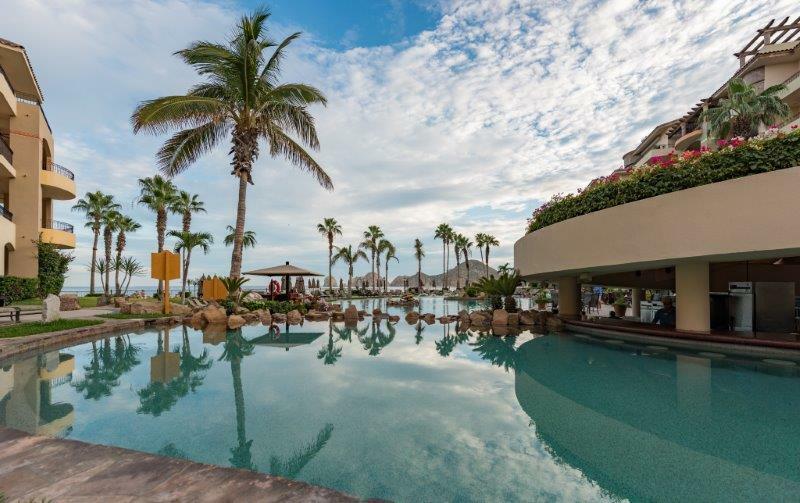 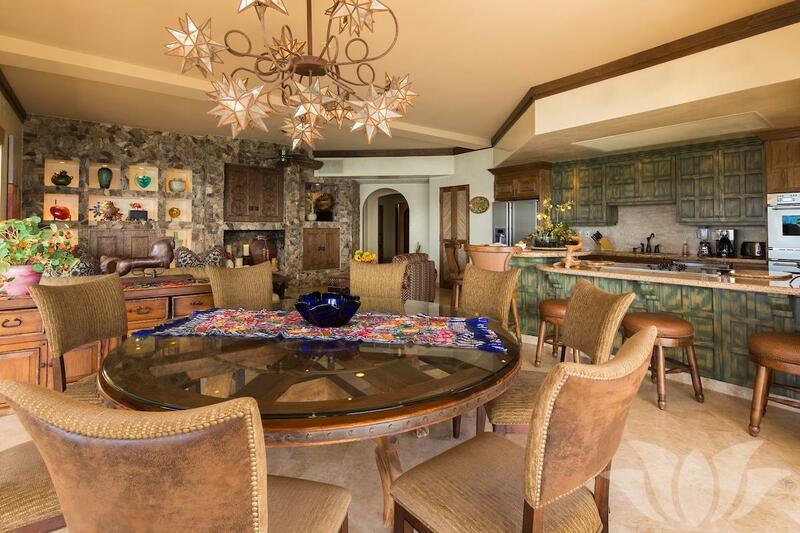 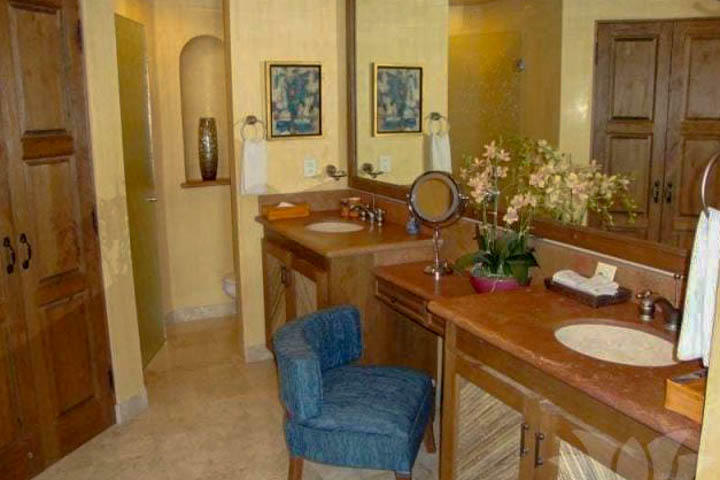 This very spacious condo with wrap-around views of the tip of Baja Land’s End features three bedrooms, four baths (two with spa tubs). 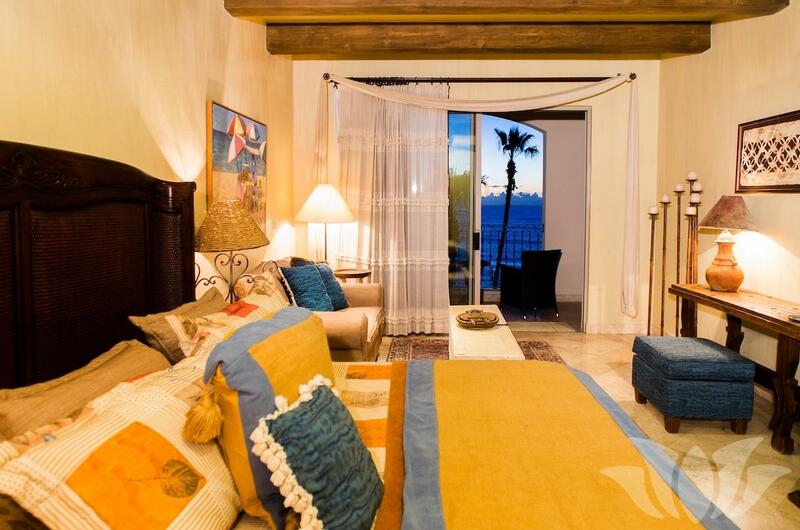 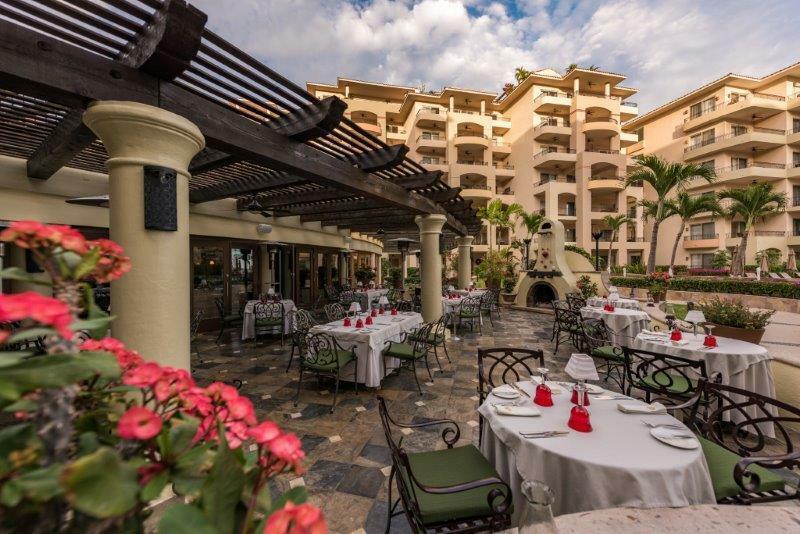 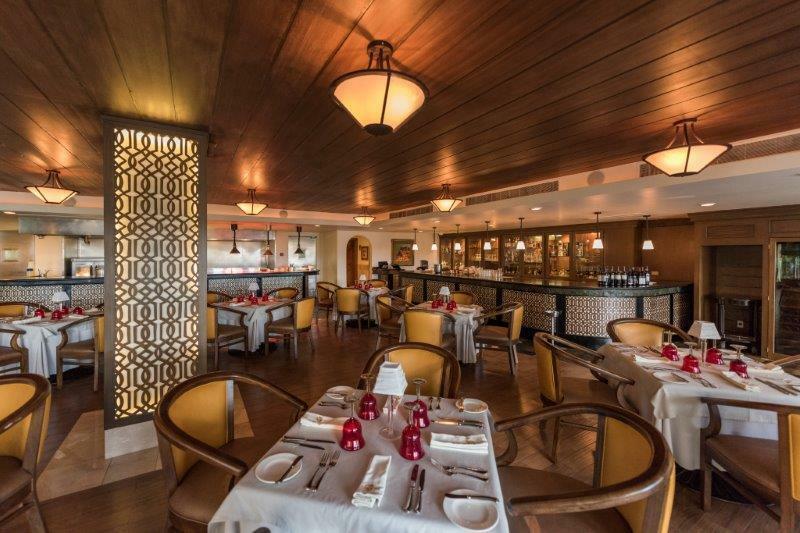 Every room offers stunning views, which can also be enjoyed from the expansive covered terrace. 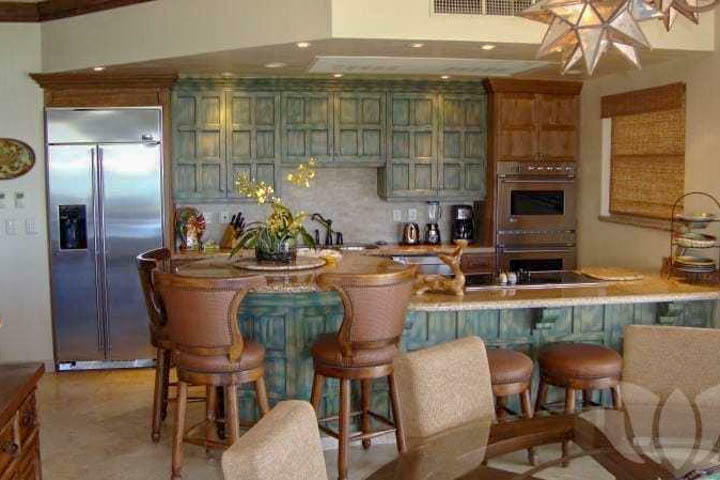 Additional features include zoned central air and heat, a fully-appointed kitchen with stainless-steel appliances (including a double wall-oven) and granite counters. 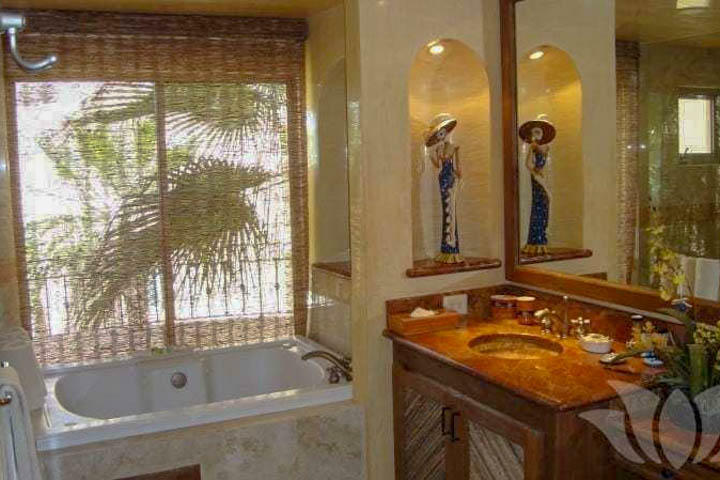 Some baths include natural marble counters. 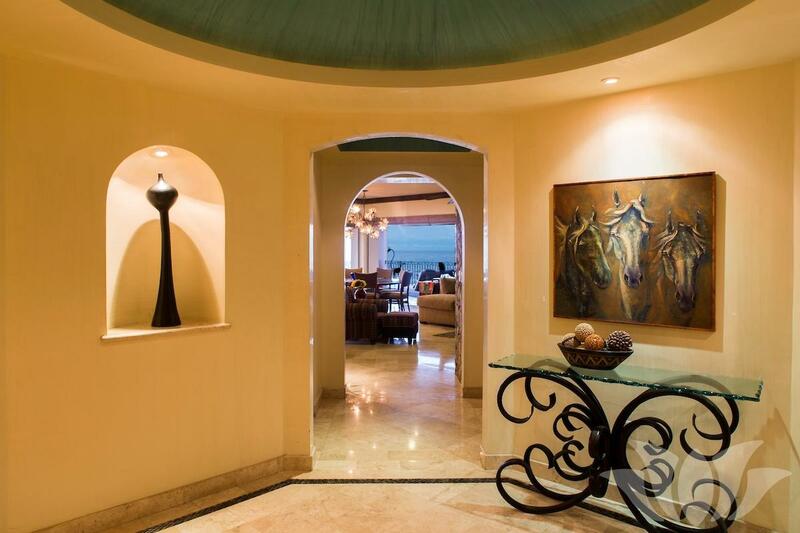 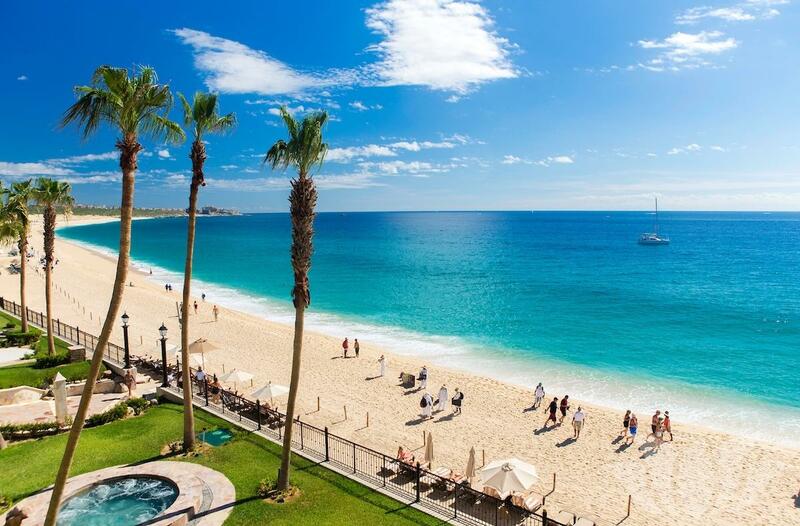 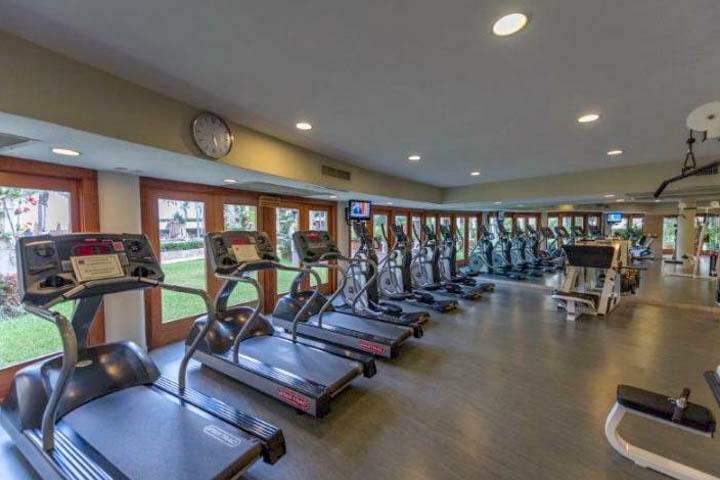 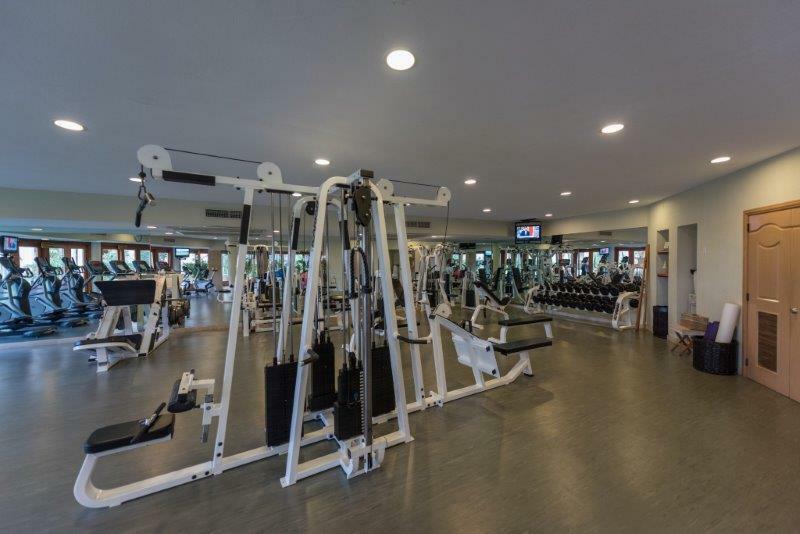 This is one of only four condos on the Oceanfront, this condominium is located on the third floor.